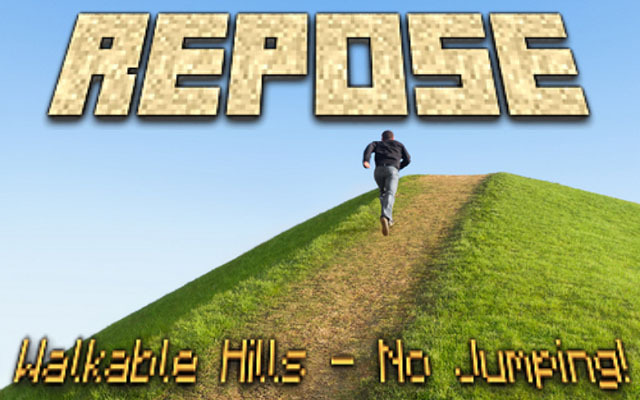 Repose Mod introduces walkable soil slopes and more to Minecraft. This means you can now walk up gentle slopes of grass, sand etc. without continually jumping. This works by making soil blocks act as stairs, whose shape varies according to the elevation of neighboring blocks. Visually, the soil blocks are still the same cubes as before. 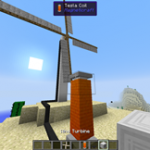 A config option allows the same behavior for “natural” stone such as that found in caves. Additionally, soil is affected by gravity and will spread sideways into piles when landing. 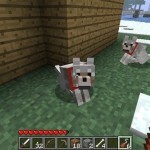 This makes creating slopes easier, but it also makes early-game shelters more challenging. Fine-grained soils such as sand and gravel can also spread as a response to nearby block changes, and so hitting a sand wall can cause a significant collapse. Config options allow control over this falling/spreading behavior. Granular blocks are: Dirt, Grass, Mycelium, Farmland, Clay, Sand, Gravel, Sand, Soul Sand and Snow. 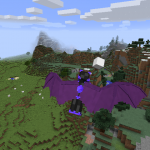 To configure Repose, click Mods on the Minecraft main menu and scroll down to the “Repose” entry. 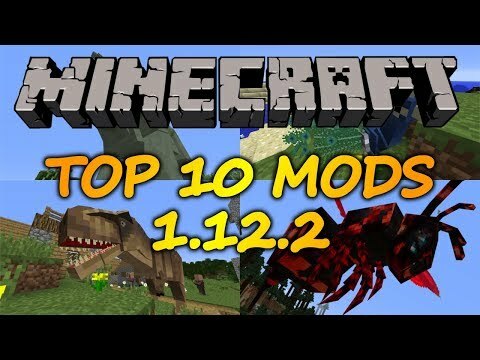 Then click Config to access the mod options. Each option has a tooltip help. Server admins can also edit options in config/repose.properties under the main Minecraft directory. 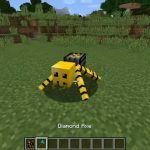 Note: if using this mod on a server, make sure the client’s config options match the server’s. 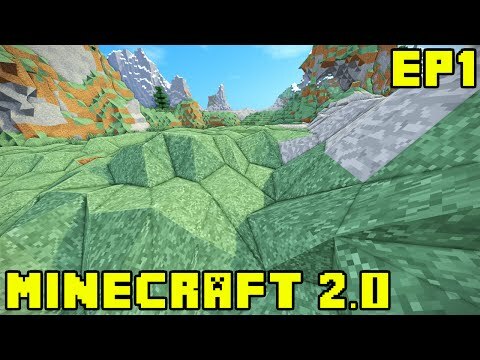 Otherwise if for example the server enables only soil slopes and the client enables both soild and stone slopes, players can get “stuck” in stone blocks. 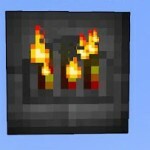 Download and install Farseek Mod. 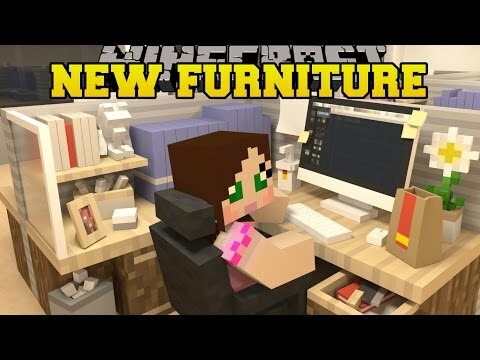 Minecraft: new furniture! 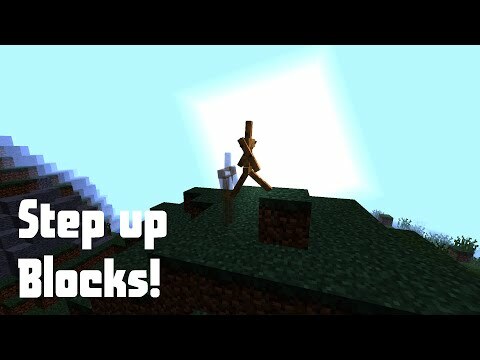 (computer, oven, washing machine,..
[1.9] vanilla minecraft | step up full blocks! 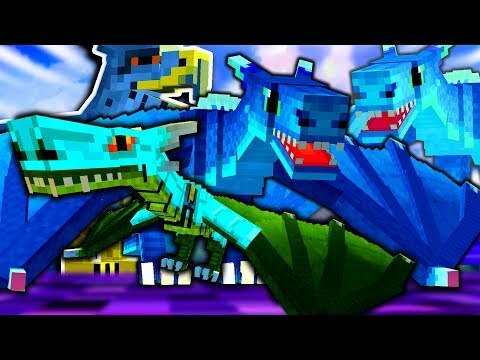 El mejor mod de dinosaurios | jurassicraft 1.10.2 | nueva..